This quick guide is going to go over where you need to enter your API settings for The Best Spinner. The spinners you connect to FSB will only spin the Amazon Descriptions coming from the amazon API. The product descriptions are spun using the free internal FSB spinner, please check the guides on Content Spinning Templates for more information on those. 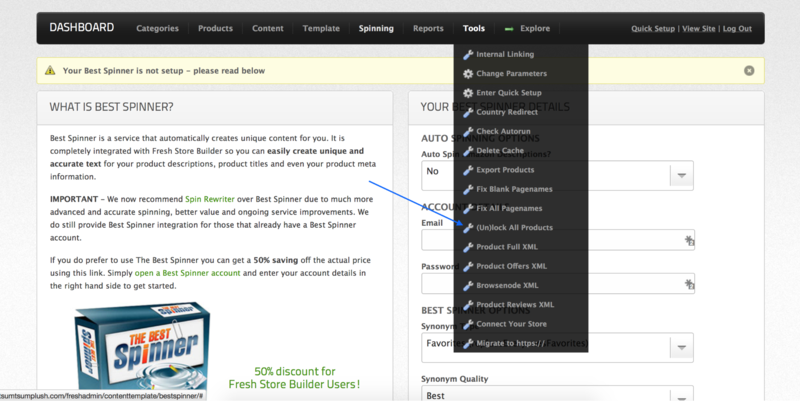 If you own The Spin Rewriter software then on the right you can enter your details and click save. If you own The Best Spinner, then on the left bottom you will see the text link to click to enter your TBS settings.